Whether a child’s departure from Compassion is expected or not, it’s always difficult for the Compassion center staff and sponsors who have invested so much love into their lives. Generally, young people graduate from Compassion’s program between the ages of 18 and 22. However, many factors can cause a child to leave the program early. Sometimes families move away from the community or their economic situation improves. Other times, a family isn’t interested in the program anymore or a youth begins working. In each of the countries where Compassion works, the staff strive to understand the factors that cause children to depart the program early. Then they work toward solutions. In Honduras, our nearly 200 front-line churches across the country have developed strategies to respond to the unique struggles families face. 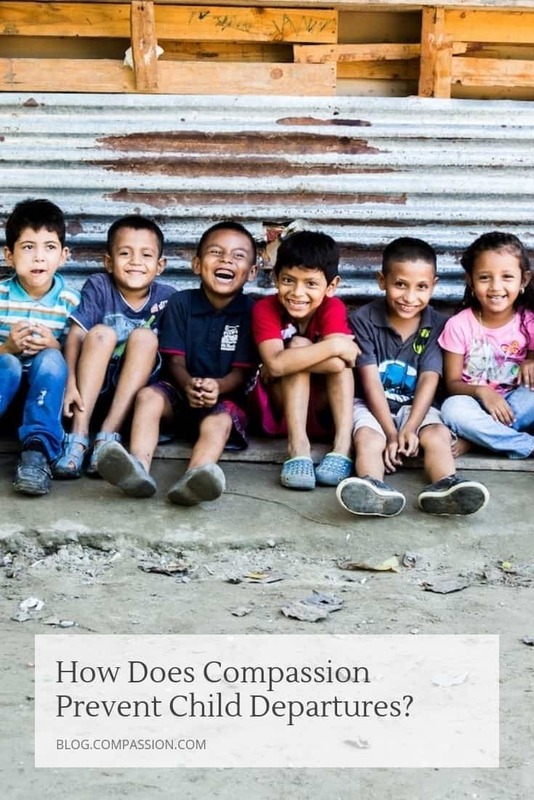 Compassion Honduras is just one example that can help you understand what this looks like around the world. One way our Honduras office ensures that children stay in the program is to be intentional in which children we register in the program. 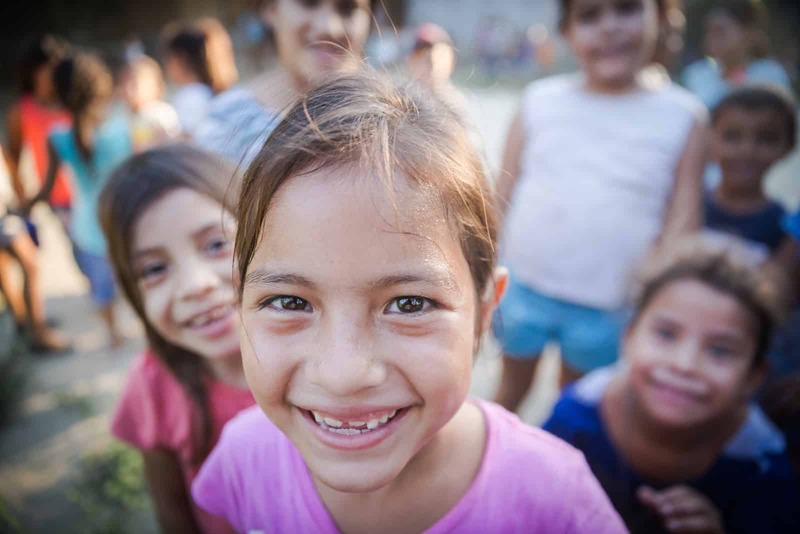 The guidelines can vary by country, but in Honduras, we select children whose families live on less than $2 per day. We take other factors into consideration, such as whether the family has access to electricity, potable water or a sewage system. We also take into account whether the family lives in a makeshift home and whether they have access to health care. The children who live at a higher poverty level tend to stay in the program longer. 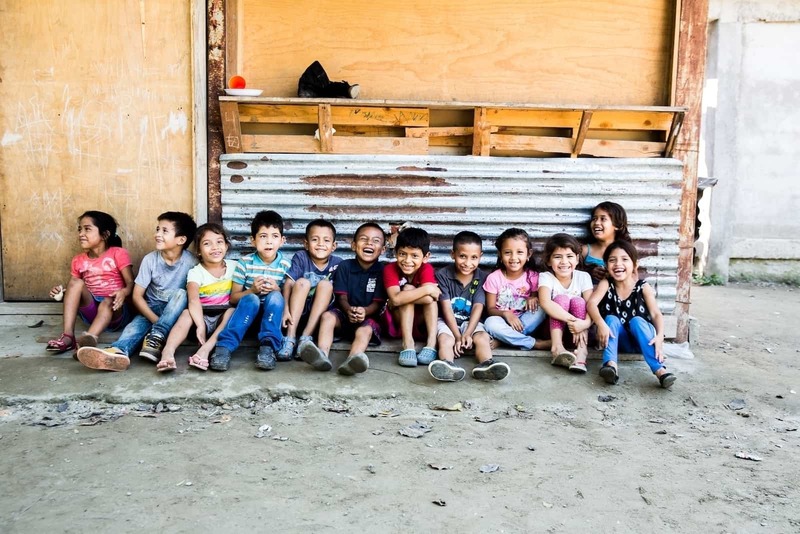 “We have a long list of children who crave to be in the center, but not a list of children who want to depart,” says Ninfa, a Compassion Center Director in Honduras. 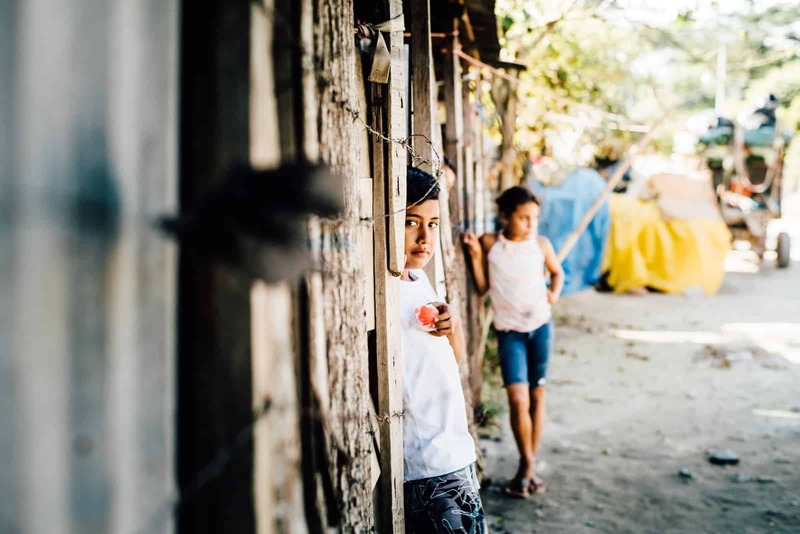 Our staff in Honduras found that one of the main reasons children unexpectedly leave Compassion’s program here is because their families were forced to migrate to other communities or countries looking for better job opportunities and for safety from violence and extortion. These families often live in communities where criminal groups are active in drug trafficking. Our church partners across Central America are facing similar challenges, from El Salvador to Mexico. Churches in Honduras have begun finding ways to help families stay in their communities. One church in Joconales, Honduras, had dozens of families and individuals leave the community because they weren’t able to survive. “Our 17-year-old son crossed the border last year. It was a heartbreaking decision for us to let him go, but we had no choice because of our precarious situation at home,” shared Filadelfo, a farmer and father of seven. Filadelfo is shown here with his daughters, Keilin and Sandra. 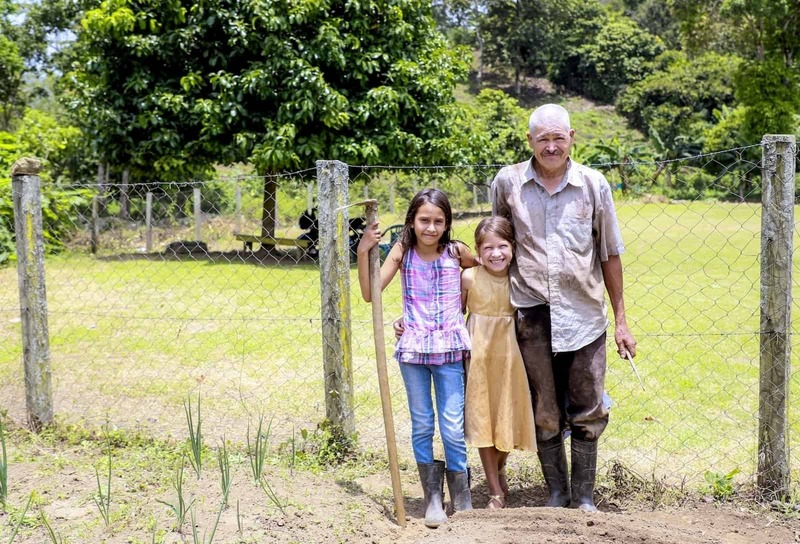 To help families like Filadelfo’s, the church started a farming initiative. They provided vegetable seeds and agricultural training to families so that they would have another source of food and income. Filadelfo’s daughters, Sandra and Keilin, have been growing onions, tomatoes, potatoes, radishes, yuca, corn and parsley. When they harvest, they can either eat the vegetables themselves or sell them in the market. 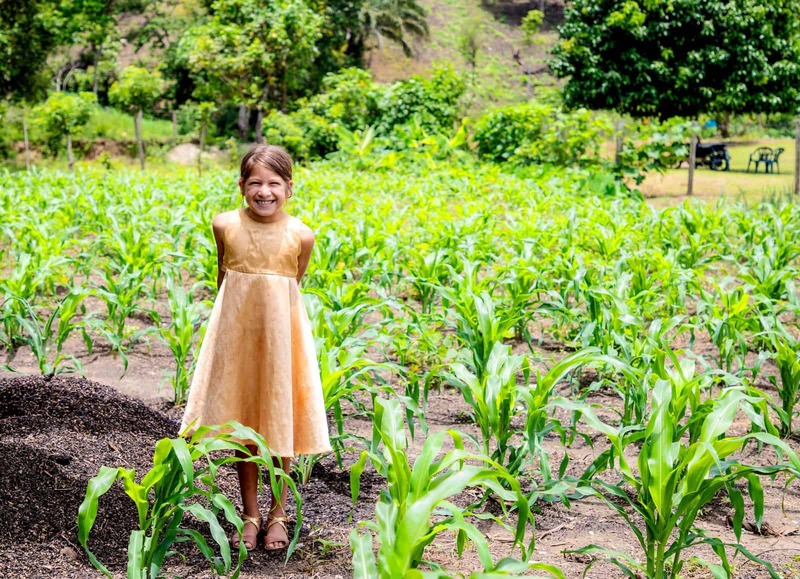 Sandra stands in the cornfield her family has planted with Compassion’s help. Filadelfo believes that with the help they are receiving, the family won’t have to send another child away. 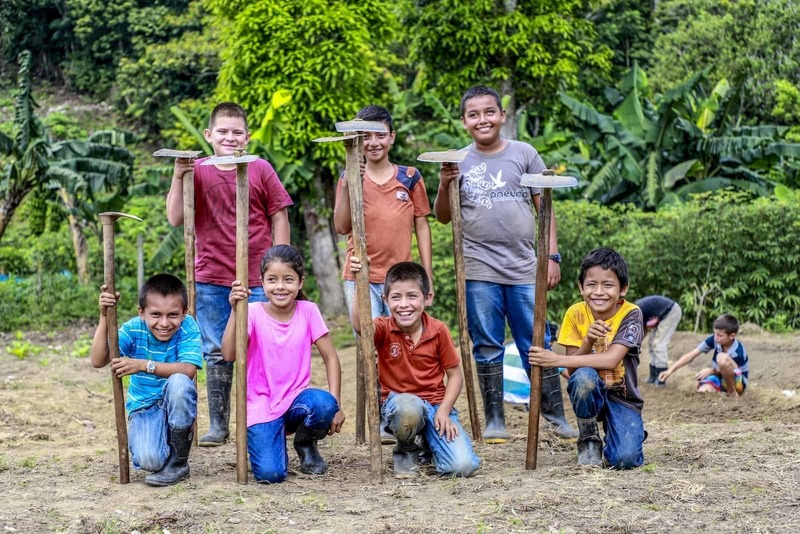 Across the country, churches are helping caregivers to find ways like this farming initiative to keep Honduran families intact. Another approach Compassion Honduras takes to ensure youths are able to stay in Compassion’s program is vocational training. Sometimes youths are pressured to drop out of school and Compassion’s program to begin working. Others can be tempted to join gangs, which can seem like the only viable way of making it in their community. Vocational training prevents both. Depending on the center, youths are able to learn skills like sewing, computer science, baking, electricity and cosmetology. Vocational training has changed Jean Pier’s life. Jean Pier lives in a community in San Pedro Sula known for having one of the highest homicide rates in the world. Sadly, several of Jean Pier’s friends have already died from gang violence. But the local church is giving youths an alternative by teaching hairdressing. 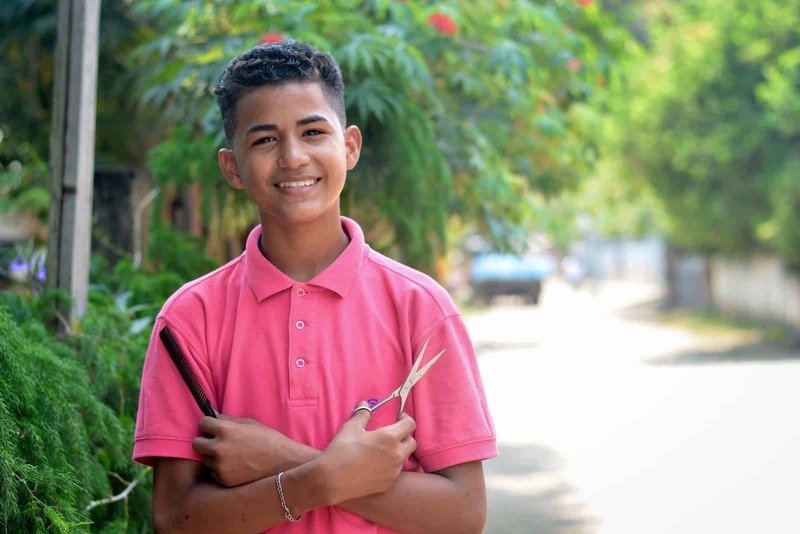 At 15, Jean Pier is already an in-demand barber. After training at the Compassion center, he got a part-time job at a barbershop. Through his skill, Jean Pier has built such a reputation that gang members seek him out for his styled haircuts. 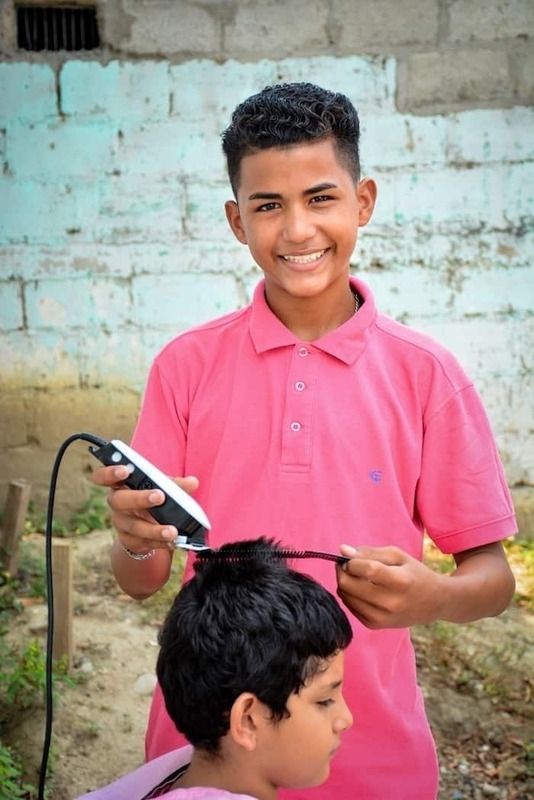 Jean Pier’s goal is to save his earnings from the barbershop and go to college to study engineering. 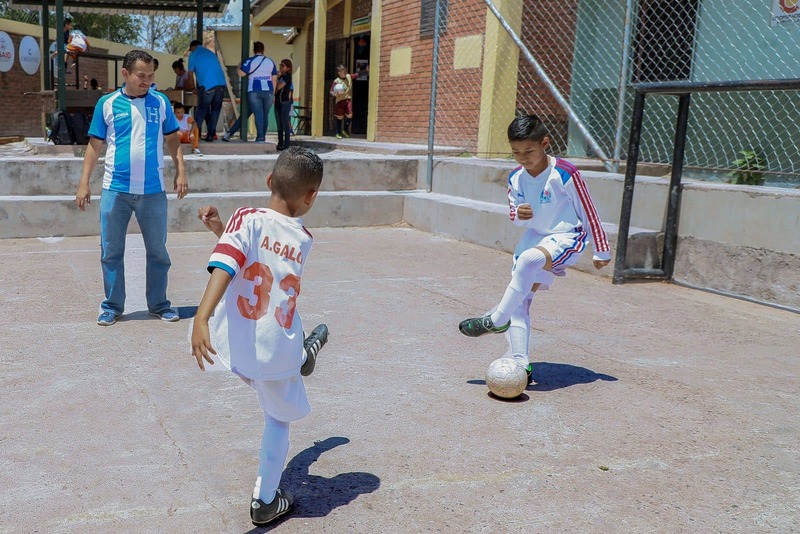 Another way Compassion Honduras strives to keep children engaged in the program and safe from the social issues that ensnare so many young people is through recreational opportunities. Sports like taekwondo and soccer give young people alternative activities to those on the street. They also provide opportunities to learn discipline, hard work and respect. And the coaches use the activities as a way to teach young people about the importance of having a life centered on God. 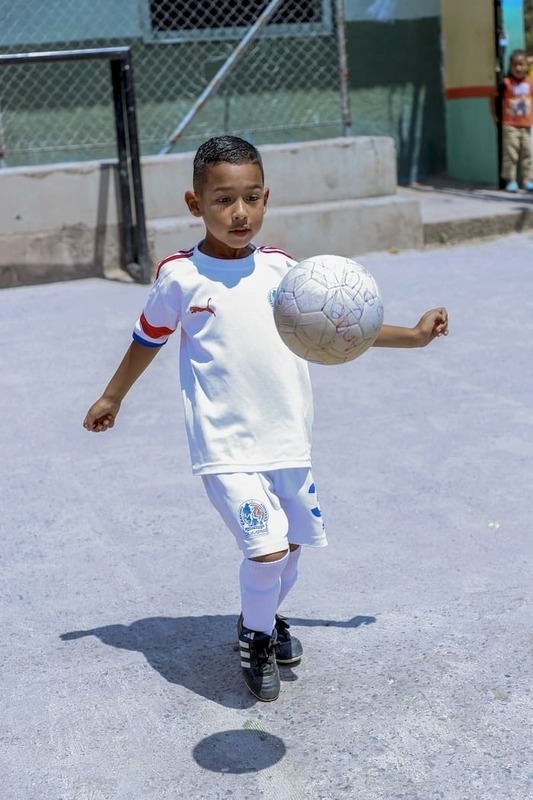 Nine-year-old Adonay is learning how to play soccer at his Compassion center. He lives in one of the most dangerous communities within the country, called Estados Unidos. Most people don’t dare enter this area controlled by gangs. Children are a top target for gang recruits. Through this project, children receive soccer uniforms, shoes, socks, balls and have practice three times a week with a professional trainer. More important, they learn discipline, teamwork and good behavior. Coupled with the spiritual lessons they receive at the center, these children are growing in the godly character which will protect them from joining gangs. Since they began training at the Compassion center, a national soccer league scouted Adonay and his brother Angel! Now they play with a professional league weekly. “I was glad that the center started a sports initiative. This is definitely preventing children in our community from being targeted by gang members,” says Adonay’s mother, Vanessa. 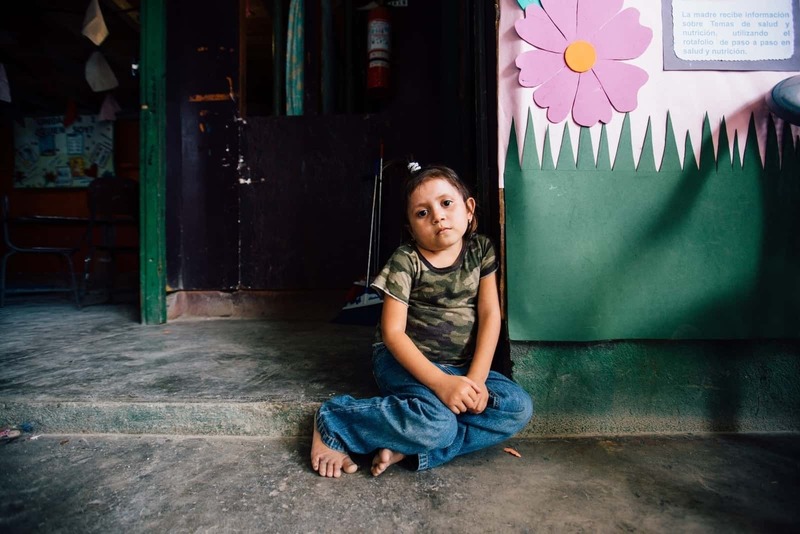 At each Compassion center in Honduras, there’s another vital ingredient to keeping children in the program: love. “Children love to attend the center because they feel loved, safe and cared for. In fact, children visit the center’s facility even when they have days off,” shares Ninfa, a Center Director. Ninfa’s goal is that each child, regardless of when they depart the program, will leave with the seed of Jesus in their heart. Ninfa and her staff also build close relationships with the children’s families. They build love and trust with the families. They help families find hope and a purpose-driven life that will remain steadfast in their lives, regardless of circumstances. Despite the best efforts of our staff, sometimes a child does depart Compassion’s program. But Ninfa and her staff are always intentional in helping the sponsors understand the situation. “We have had non-planned departures and it’s heartbreaking to us to say goodbye to a child,” says Ninfa. “We take the time to bless and thank the sponsor for his support, and we encourage him to continue supporting another child,” says Ninfa. Frontline churches work hard to avoid these unplanned departures, but adversity sometimes comes uninvited. That’s why our staff members treasure every minute they share in the life of a child, planting love in their hearts. To all of our sponsors who have experienced the departure of a child: We understand how hard this is. Sometimes it is the result of the very serious circumstances of poverty. Other times, it is simply a product of a family moving. But no matter the reason, hold deep in your hearts the truth that the love you have shared will leave a lasting imprint on that child! Juana is a Photojournalist for Compassion Honduras. 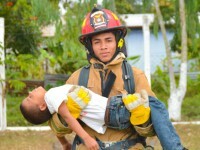 I Want to Be a Firefighter! Child Sponsorship: Why Do Children Leave Our Program? Keyth, envíenos un correo electrónico a socialmedia@compassion.com con respecto a su solicitud. I loved reading this post. I lost a child I was a correspondent sponsor for and it was so sad to me. But it’s good reading how careful you try to be in preventing this situation. Since I couldn’t sponsor him financially myself I’m praying and advocating for “my” child daily. It is beautiful that the Lord’s work is in the. Heart 💓. It is heartbreaking when your sponsored child leaves and you don’t get to say goodbye! My daughter and I loved our girl Maria, and then one day her profile was no longer on my homepage. I called Compassion and they said that she had moved. We were so sad and shocked! We still pray for her, and hope that she is doing well wherever she may be. You are doing such wonderful work! Thank the Lord! I will continue to pray for your ministry and those you help.